The first of the 2015 Nobel Prizes has been announced. Sweden's Nobel Prize committee says the Nobel Prize for medicine will go to scientists from Ireland, Japan and China. William Campbell from Ireland and Satoshi Omura from Japan share the prize for their discovery of the drug avermectin. The Nobel committee praised their work on what it calls a "novel therapy." The treatment fights infections caused by roundworm parasites. The prize for medicine is also going to Chinese researcher Tu Youyou. She discovered artemisinin. Artemisinin is a drug that has sharply lowered the number of people who die from malaria. The committee said the discoveries have given the world powerful news ways to fight two powerful diseases. It said those diseases affect hundreds of millions of people every year. The committee added that, "The consequences in terms of improved human health and reduced suffering are immeasurable." Ms. Tu is the chief professor at the China Academy of Traditional Medicine. She is also the first Chinese citizen to be awarded the Nobel Prize in medicine. Mr. Campbell currently works as a research fellow emeritus at Drew University in New Jersey. Mr. Omura has two doctorate degrees -- one in pharmaceutical sciences, the other in chemistry. He is professor emeritus at Kitasato University in Japan. Doctors are now using avermectin to treat river blindness and lymphatic filariasis. Mr. Omura told the Associated Press that the drug resulted from a substance taken from a microbe found on a golf course near Tokyo. The researcher said he always carries a plastic bag so he can collect soil samples. When asked if he likes to play golf, he smiled and said, "yes." A member of the Nobel committee, also spoke with the AP. This member said that the award for Tu Youyou is the result of a major change in the way China performs scientific research. He says China has invested a lot of money in such research. This member adds that the work of the three scientists could help end the health risk of diseases affecting 3.4 billion people. To reach our goal of near zero deaths from malaria by 2015, we need an extraordinary intensification of our actions in two key areas. For some patients, they say, a combination of talk therapy and medication works best. A giving, loving and patient partner can be of immeasurable value to her. G. Wilson Knight, Emeritus Professor at the University of Leeds, has had a long and prolific career as a critic. 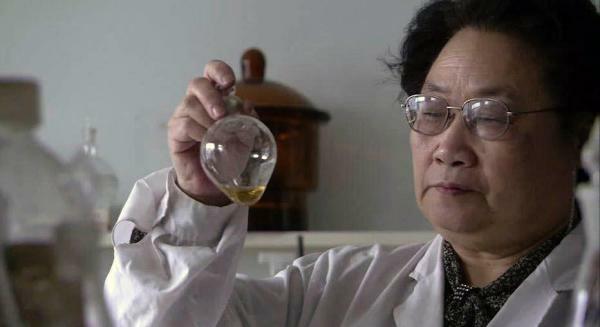 1.The prize for medicine is also going to Chinese researcher Tu Youyou. She discovered artemisinin. Artemisinin is a drug that has sharply lowered the number of people who die from malaria. Smokers are about twice as likely to get the lung infection and die from it, compared with non-smokers. Many of these children die from a handful of treatable infectious diseases including diarrhoea, pneumonia, malaria and measles. 2.The committee said the discoveries have given the world powerful news ways to fight two powerful diseases. It said those diseases affect hundreds of millions of people every year. The committee added that, "The consequences in terms of improved human health and reduced suffering are immeasurable." They don’t initially think about these bills in terms of who or what the bill is for, but rather in terms of how late the bill is. Improvement in terms of trade is limited as competition erodes price.